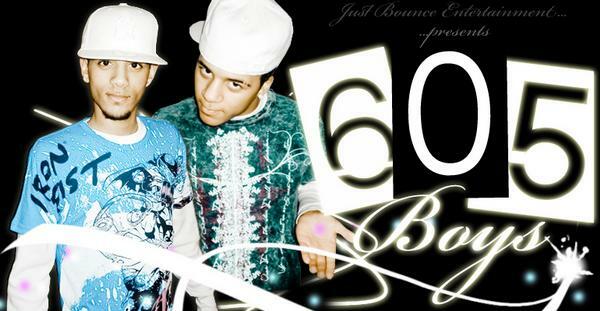 605 Boyz mainly started out their "hard knock life" here in the city of Sioux Falls, S.D. A city, one might say, that is virtually unknown for any "famous" rap talent to come out of it. These kids have known about their talent since the age of 12. Since then, they have progressed to these mind-boggling figures of what Sioux Falls has needed all this time. Spice. The quiet streets have now been filled with anxious 'fans' dying to hear new music from the 605 Boyz . Myspace has, indeed, helped "shoo" the fans away during study time. The continuous struggle for them has only motivated their minds to think of music that will, not only increase fan base, but will hopefully catch the attention of anxious A&R's dying to hear more talent from young stars such as these. The way things have been looking, there is no reason why these little pint size rappers cannot make it. They just need to focus, and make sure they are in it for the rap game, and not the money. * Your song 'Working Girl' has just been added to Coachella Valley's Best Hitz station! * Your song 'Working Girl' has just been added to Radio Jones station! IMP Your song 'Working Girl' has just been added to Real Life Music station! "WORKING GIRL" IT'S ONE FO' DA LADIEZ! !